Republican presidential candidate and Tea Party member Michelle Bachmann held a rally at the Orange County Fairgrounds today. 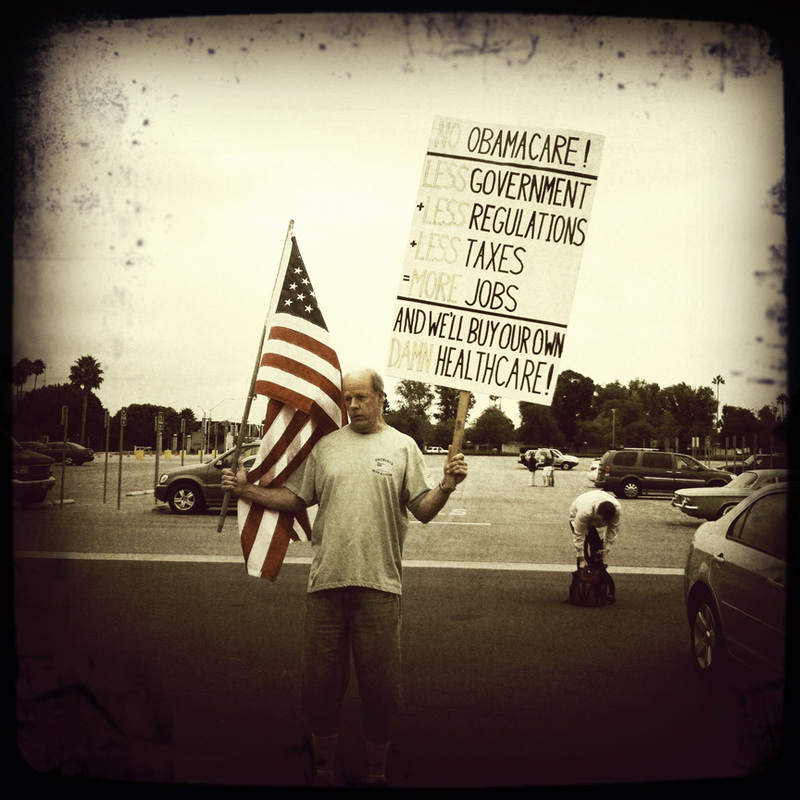 A crowd of 50, mostly Tea Party members, attended the rally. 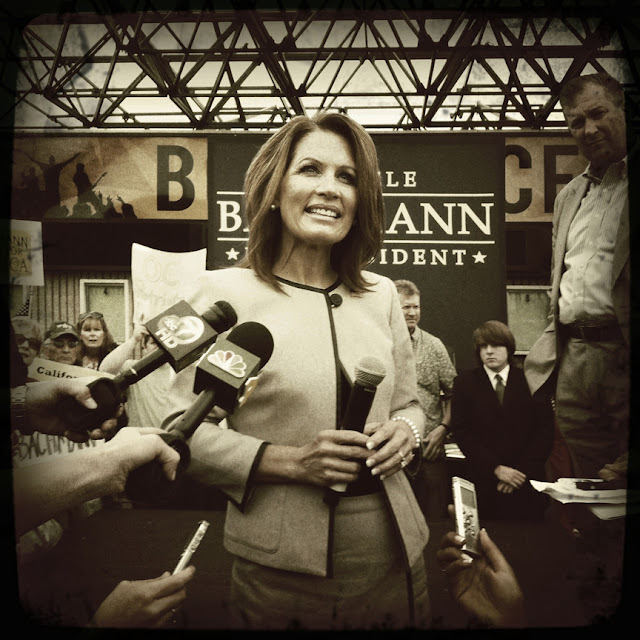 Michelle Bachmann and her "titanium spine."